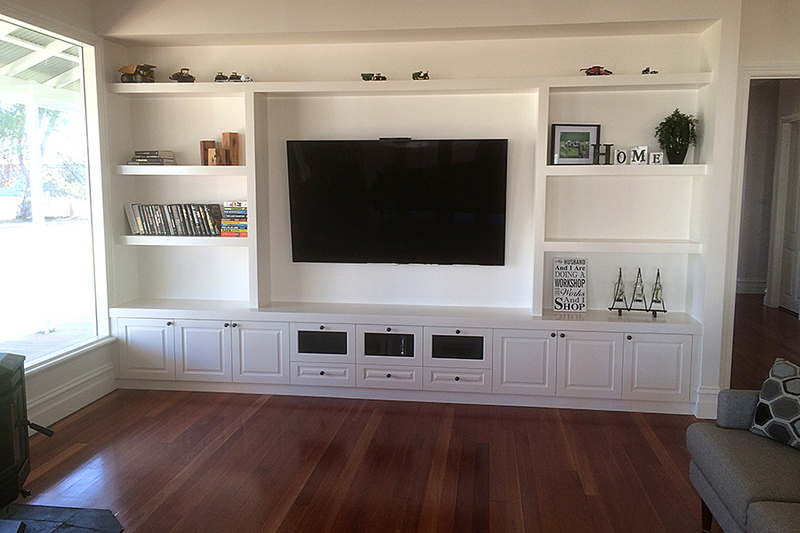 We are a locally owned & operated cabinet making & joinery business located in Horsham, Victoria that is quickly developing a reputation for service & quality throughout the Wimmera & beyond. Pop Murray & his team of trade specialists, are committed to providing not only friendly, honest & reliable service from start to finish, but also delivering our clients with nothing but expertise & high quality workmanship. We specialise in custom made cabinetry for kitchens, bathrooms & laundries, offices, wardrobes, outdoor areas, commercial cabinetry & much more. To discuss your cabinetry needs & obtain a free no obligation quote, please call Pop Murray on 0409 173 453 to arrange an appointment. Our factory is located in the industrial estate at 4 Ballinger St Horsham 3400.